The U.S. Forest Service has published a detailed report about how tiny ips beetles, also called bark beetles, decimated millions of piñon and ponderosa pine trees in the New Mexico and Arizona between 2002 and 2004. They began to decrease in 2005, but they began to reappear in 2011 and are still a threat today. These insects are native to the piñon-juniper woodlands and ponderosa pine forests of the Southwest and usually attack only a small number of diseased or weakened trees. Healthy trees can usually defend against a bark beetle attack by pushing the beetles out with sap. 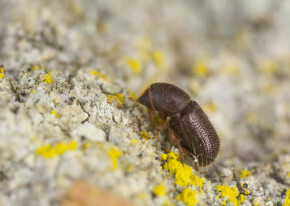 There are two reasons for the recent return of bark beetles: 1) high tree densities that increase competition for water and resources, and 2) extreme drought that has left many trees without defenses against attacks. Bark Beetles burrow into piñon and ponderosa pine trees and introduce blue stain fungus via their saliva. Though we can try to stop the beetle’s attack, once the fungus has established itself, there is no way of stopping it’s destruction. The first line of defense against attack is making sure vulnerable trees are adequately watered. Rainfall helps, but Payne’s arborists still recommend thorough waterings on a regular basis. As an additional precaution, we also recommend pesticides such as Permethirin 38-Plus Insect Control or Bonide’s Captain Jack’s Dead Bug Brew Organic Pesticide with Spinosad. 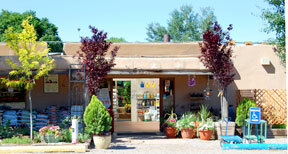 Get more information at either Payne’s Garden Center. Click here read the full USDA Insect Report 2012 on insect and disease conditions in the Southwest.